When Michelle and I came back from vacation, we found this note from a woman named Sindhu waiting for us. I’m proud of Michelle for the difference she made in this young woman’s life, and I’m inspired by Sindhu’s story — so I thought I’d share it with you today. Read to the end (you won’t regret it) and please add your voice. We want to hear from you, too. One day in Fall 1996, an idealistic 17-year old Indian girl was inspired while sitting in a chapel. She didn’t remember the name of the woman who spoke. But she will never forget the fire that was lit to make something of her life, and to use that life to serve others. That week, she signed up to be a volunteer at the hospital and signed up for an after-school program teaching creative writing and literature for underserved children in the community. Twenty-one years later, that girl is now a 38-year old woman, a bit older in body, sometimes a bit jaded, but much younger in spirit. That woman fires up medical students to be passionate about behavioral sciences and psychiatry, serves children and adults struggling with mental illness, and continues an after-school outreach program to teach 6th graders about how to care for their mental health. That torch lit as a freshman at the University of Chicago continues to be ablaze. That 17-year old was me. 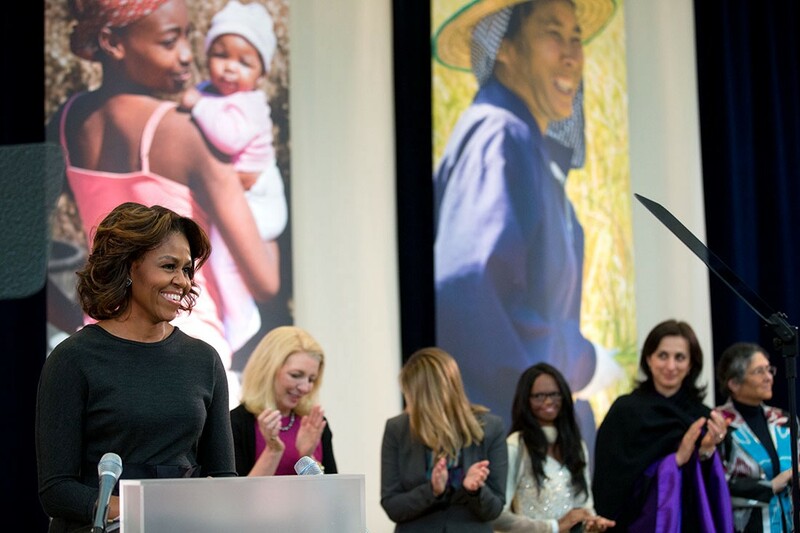 I later found out that the inspirational powerhouse of a woman who spoke was Michelle Obama. I wanted to say thank you to the both of you. Thank you, Michelle, for helping a vulnerable teenager raised to comply to start to challenge the notion that she was powerless. Thank you, Michelle, for teaching by both words and example that the best uses of power and influence are in the service of others and our community. Thank you to both of you for your profound levels of activism within our community, leading up to a historic event that I did not think I would witness in my lifetime. Thank you for how you treated children, both your own and all of America’s, with kindness, humor, and spontaneity. I am now a middle-aged Indian woman who is married to an Indian feminist man and raising a feminist 3-year old son (whose middle name is Atticus and who thinks he is actually Thomas the train.) They are amazing. The ways in which you have impacted the world have left me expecting so much more from our world. And I know that this is not an expectation I can have without being part of that change. The events from this week, this amazing women’s march, echoed globally that the expectations I have are not ones I hold in isolation. I want a different world. I need a different world. So when you get back from your vacation, I wanted to let you know. Now it’s your turn: Tell us about the people like Sindhu working to make your community better.